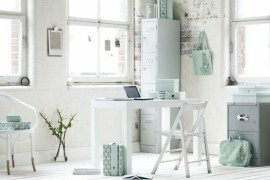 As if it’s not enough that we have to drag ourselves out of bed each morning to get into work before the sun rises, many of us are then subjected to sitting in a tiny grey cage all day long! 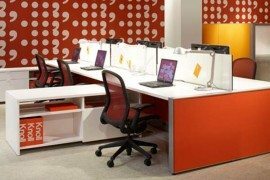 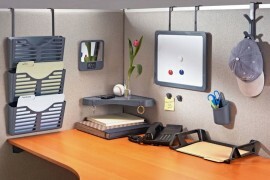 Yes, cubicles have a bad reputation for being, well, a bit square, but there’s no reason to leave your drab workspace the same way you found it. 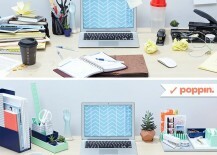 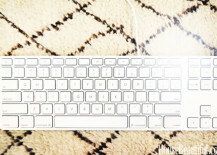 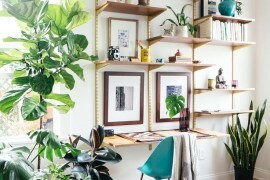 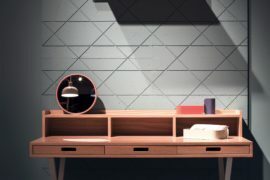 There are tons of ways to brighten up your desk area without having to do any major renovating. 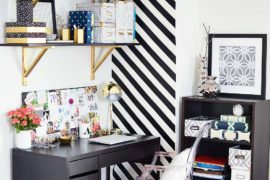 From quirky terrarium buddies to cheerful wall art and trendy paper holders, read on for a lesson in Cubicle Decor 101 that will hopefully make being at work slightly more bearable. 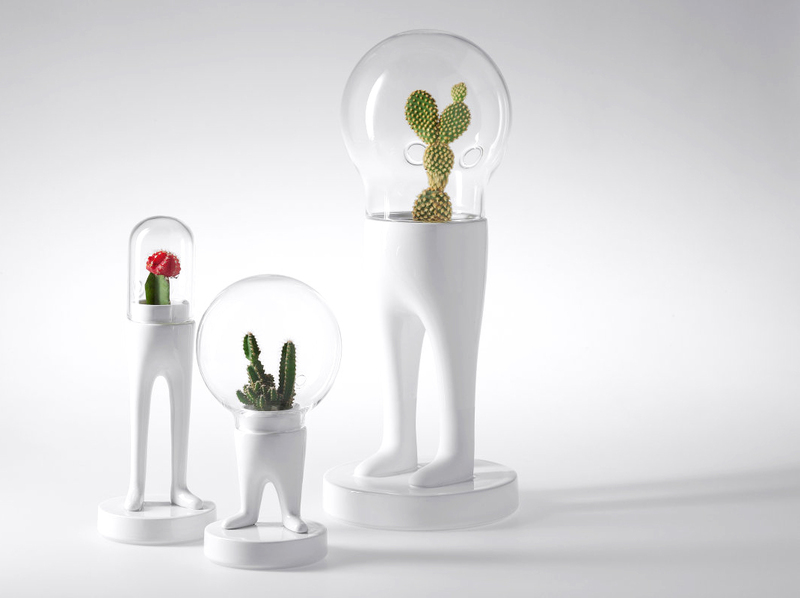 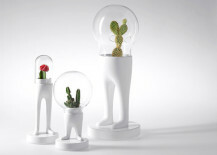 We can’t help but smile every time we look at these DOMSAI terrarium office friends. 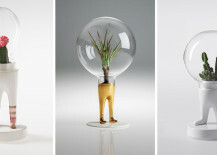 Half plant, half tabletop sculpture, they’re 100% delightful. 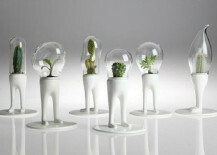 And all you have to do it give them a few drops of water a week, so they’re low-maintenance too. 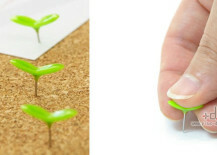 Help your ideas flourish by tacking them up with these adorable Green Pins from designer Joonhyun Kim. 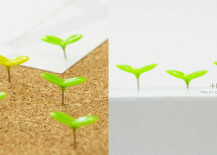 Shaped like newly sprouted leaflings, the functional pushpins will also add a touch of greenery to your deskpace. 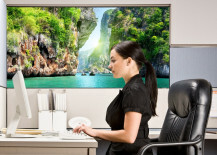 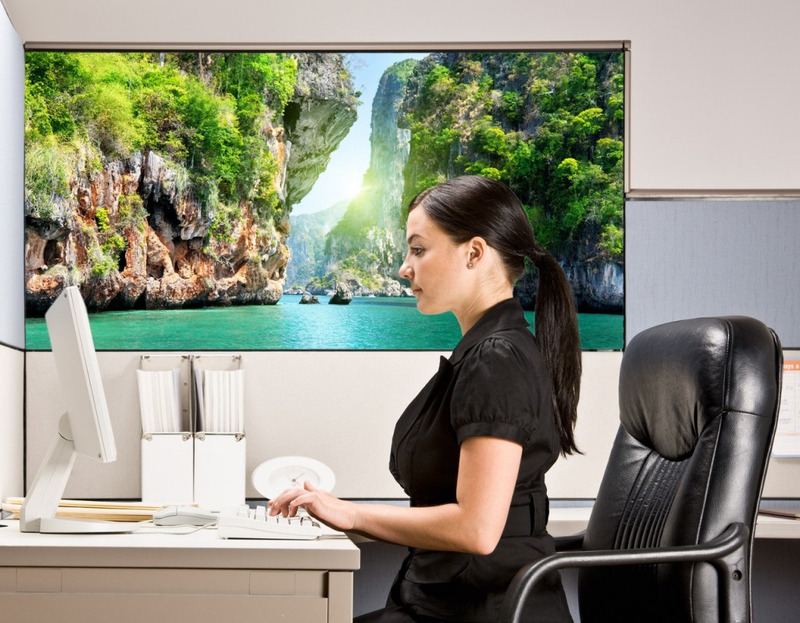 If you’re the type of person who derives deep personal joy from seeing everything exactly where it’s supposed to be, the Urbio system may be just what’s missing from your life. 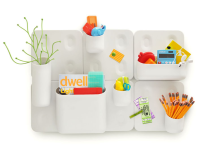 Comprised of a series of magnetic wall containers that can be mixed and matched to organize all of your bits and baubles, this bubbly array will give you a sense of satisfaction every time you step into your office. 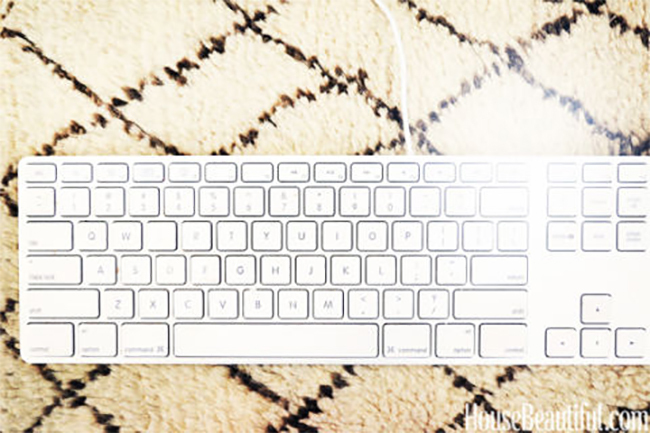 Follow the lead of the geniuses at HouseBeautiful, and create a designer keyboard blotter out of a rug swatch for pennies or even free. 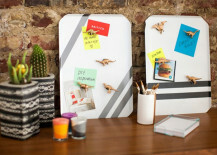 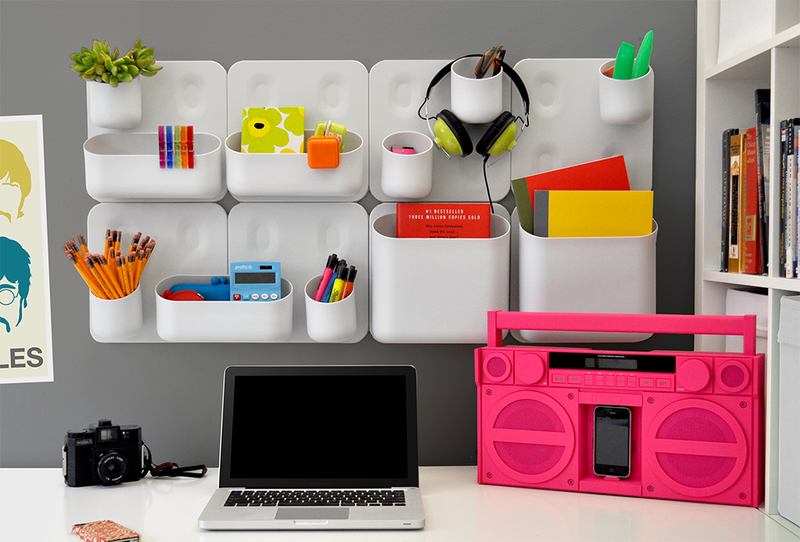 Poppin’s colorful desk accessories can add a sense of order and harmony to any manic Monday. 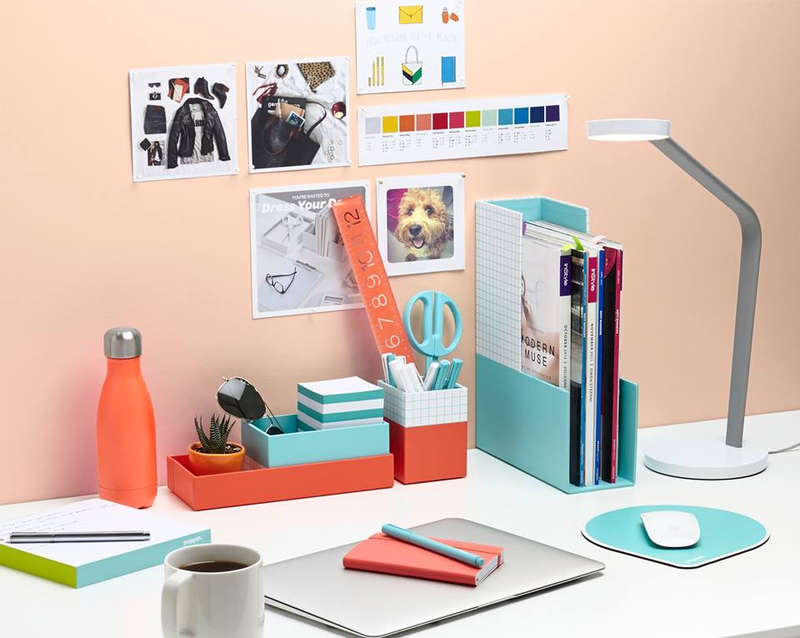 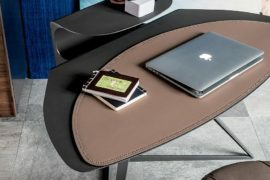 Available in a rainbow of energizing hues, the coordinating letter trays, pen stands, staplers and pen dispensers will be a sight for sore eyes every time you see them. 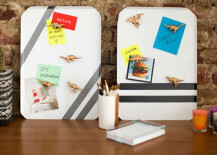 Can you believe that Brit + Co whipped up these smile-inducing memo boards in less than an hour? 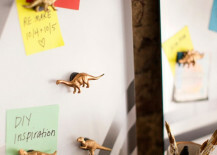 You can do the same using just a few cookie sheets, some spray paint, dinosaur figurines and some magnets. 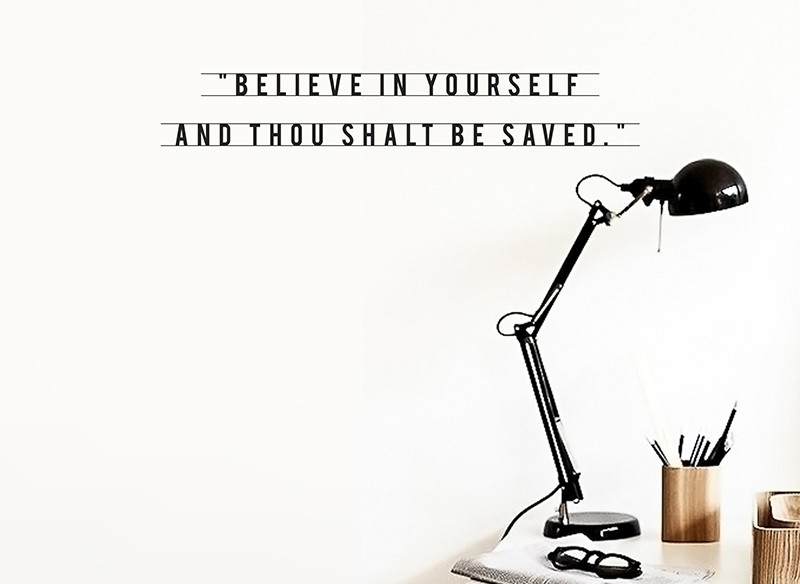 See the full tutorial here. 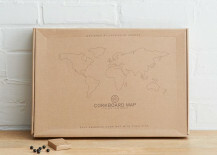 Travel around the world without leaving your cube with this charming corkboard map from West Elm. 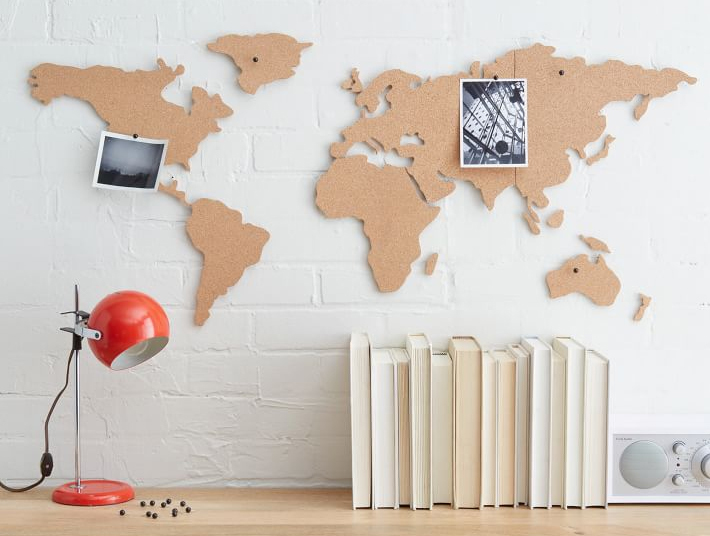 The 16 self-adhesive pieces are great for hanging photos and notes, or you can use the included pushpins to demarcate the cities you’ve been to and where you’d like to go next. 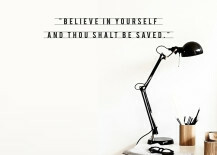 If you haven’t quite worked your way up to that corner window office yet, don’t lose sight of the dream! 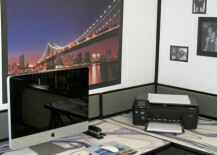 Dream Cubicle’s specialized window decals allow anyone to have a view of their choice (city skyline, serene meadow, or blue sky, just to name a few), and can be reused again and again without leaving a sticky residue. 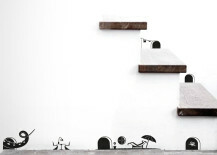 And finally, make going to work a little less painful with Hu2’s delightful and universally appealing wall decals. 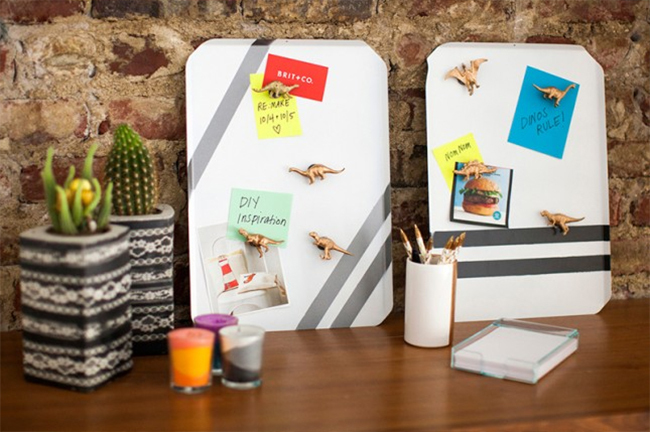 Each sticker is hand-made in France and is 100% recyclable & PVC-free. 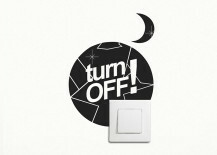 And as an added plus, some of the decals are specifically designed to remind people to be eco-friendly and turn off lights. 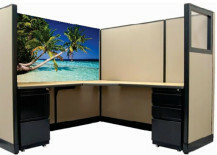 Do you decorate your cubicle or workspace? 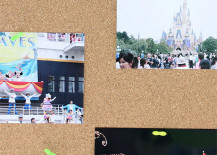 Show or tell us how in the comments below!